Check in with the stars, Taurus, it's your horoscope for the month ahead! Lets look at your month ahead in detail, Taurus! Keep cool over the weekend (March 2nd / 3rd), and notice your options open up and reputation improve, as Venus moves into Aquarius (2nd to the 26th March). Venus in Aquarius elevates your public profile, and sets you apart in all you do in the world, Taurus, and also puts you in the frame of mind to address your goals, worldly ambitions and how you come across. As a new week begins you could be considering your reputation and sense of success and notoriety! It’s Pisces Season as March begins, putting emphasis on your network and wider circle of friends, peers and your community – particularly around the new moon in Pisces Wednesday March 6th (4.04 pm GMT). There’s a new beginning around how you experience the wider world and connect to your social set. However with a Mercury Retrograde dragging things out you’ll have to use your intuition when leasing and making arrangements – the path ahead isn’t entirely clear until April beautiful! Throughout the month Mars is in your sign, Taurus, bringing you extra energy and an ardent sense of urgency and stamina to your personal affairs. An exciting planetary shift comes March 6th, when Uranus moves into Taurus, kicking off an 8-year cycle that will shake up your personal ethos, your purpose and what you do. It might be useful to think back to last May (14th May 2018), when this first happened. You might find you’re working a lot more with innovative concepts, or online over the next eight years, with the potential for a change of direction. March the 14th is a little trickier, as the moon encourages you to get to work, while the sociable sun clashes with Jupiter in your intimate eighth house. It could be hard to tend to what you’d like on this day, however your purpose in the world is thriving. Tension lasts into the weekend (March 16th / 17th), creating a challenge around how you’d be seen in a group setting, versus honouring important commitments. Wednesday March 20th is an important day, building up to the full moon at 0º Libra. The moon will be passing though sweet Virgo in your romance zone, making ties to the planets in earth signs Capricorn (Saturn, Pluto and the north node) and Taurus (Uranus and Mars). This is a 5-star day for fun and spreading the word; significantly motivator Mars will make ties to potent Pluto, while expressive Mercury will align with serious Saturn. Those around you can relate feedback, which helps you direct your energy better, and hone your purpose around a powerful vision. As soon as Aries Season begins (March 21st), Luna will peak in Libra for the first time (the second full moon in Libra occurs April 19th / Good Friday / my birthday! ), a full moon that illuminates work, health and everyday habits, Taurus. Consider this to be an incredibly positive moment to glean support from important partners; Venus will align with Jupiter on this day bringing you recognition, closeness and support during the full moon, cementing close ties for you and yours. Although it’s Aries Season – and your time to be recharge – as we round off the month of March it could be hard pulling back from your company, community or network. Don’t worry too much if you’re unable to switch of and escape the demands of your position – April fares better! 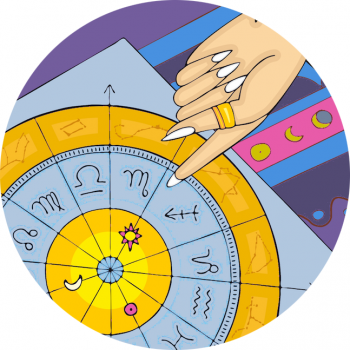 For a personal reading please email kimberly@starsignstyle.com, and don’t forget to head back to the March Horoscope to read the forecast for your rising sign!